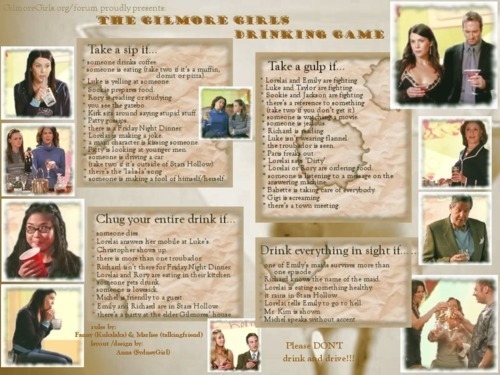 Gilmore Girls Drinking Game :P. . Wallpaper and background images in the Gilmore Girls club. Lol. I love this. I remember reading this awhile back.